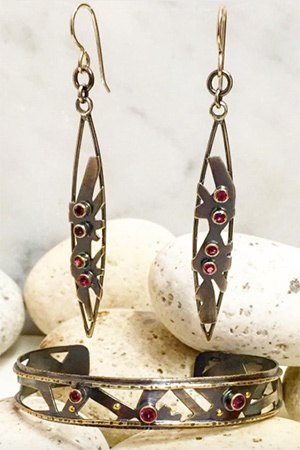 Silver and garnet Spoke series earrings and bracelet. Chased, chiseled and patinated silver. Earring: $145. Bracelet: $265.